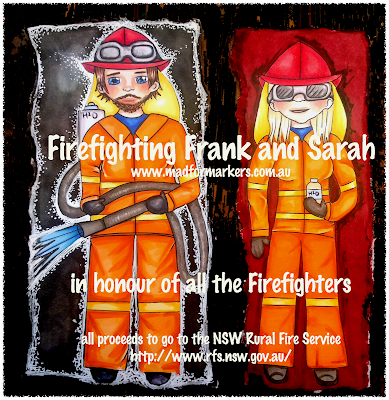 There have been / are still really dreadful fires in NSW, Australia ... Please join with me in praying for everyone affected by these fires and for thanking God for all those men and women who put themselves in danger to help others and save lives and property. 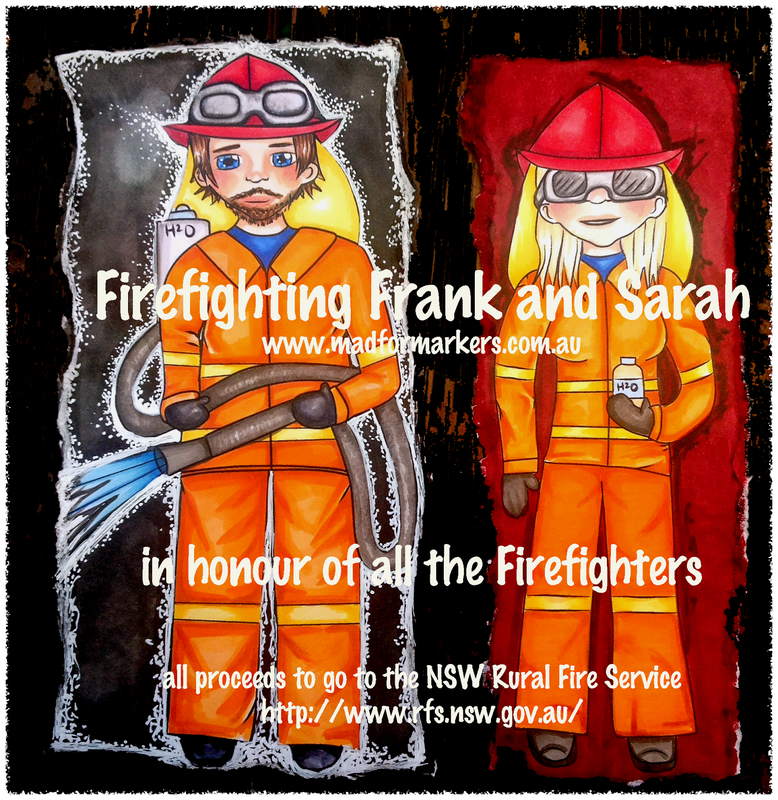 I have drawn these firefighters - Frank and Sarah - who are now available as Digi images HERE - I will be donating all the proceeds to the RFS.